Many of you out there may believe you can clean the oven yourself, however our service is completely different to what you can do on your own with the ‘off the shelf’ caustic products. Ultimate Oven Cleaning will take all those dirty jobs off your hands and provide you with the highest standard of cleaning at a very competitive price. Whether you appliance is old or new we can make them sparkle without any fuss. Our cleaning services include all ovens, ranges, AGAs, hobs extractors and microwaves. We only use Non-Caustic, Non-Corrosive and Fume Free products in your home, unlike the oven cleaning products you will buy in your local supermarket. We will remove all the detachable parts of your oven and clean them in our specially designed heated dip tank in the rear of our vehicle, whilst deep cleaning the rest of the oven including glass doors and seals. This process normally takes 2 hours. 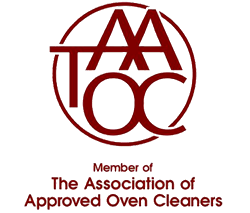 So go on, treat yourself to a Ultimate Oven Clean and join the many others who regularly use our kitchen appliance cleaning services. Thank you Graham - What a top job you have done getting my oven back to it's former glory!, amazing work, you even worked quietly when you new a baby was asleep next door. Graham was extremely professional and I would recommend his services to anybody. Would not hesitate to use him again, going to foreword book my next clean for sure. * My old oven was absolutely gross but after only an hour Graham had it sparkling. Great job Graham. Many thanks. Oven was in a terrible state and Graham made it look new. Highly recommended. Very impressed with Grahams Oven cleaning. Looks like I have had a brand new oven installed. Would definatly recommend and use again. Great service by Graham, arrived promptly, very friendly and appeared happy in his work . Thanks Graham, you have done a fantastic job! Graham came a couple of days ago to clean my oven, having been recommended by my neighbour. Nice, pleasant guy who did a fantastic job. Can't believe the difference, looks like two new ovens! Don't know how he does it but must have loads of patience to get this result. Thanks millions Graham, will certainly recommend you to friends and neighbours! Had my oven and hob cleaned by Graham. Fantastic job l am thrilled with the results. A professional job done by a really nice guy.See you next year. Booked Graham to clean our oven and extractor on Tuesday 16th Feb he arrived at 9.00am as arranged. All I can say is Wow could not believe the result. A very professional service would have no problems in recommending him. Graham is the ultimate professional and a really nice guy. He spent over 2hrs dismantling and deep cleaning our oven and hob leaving as new results ! 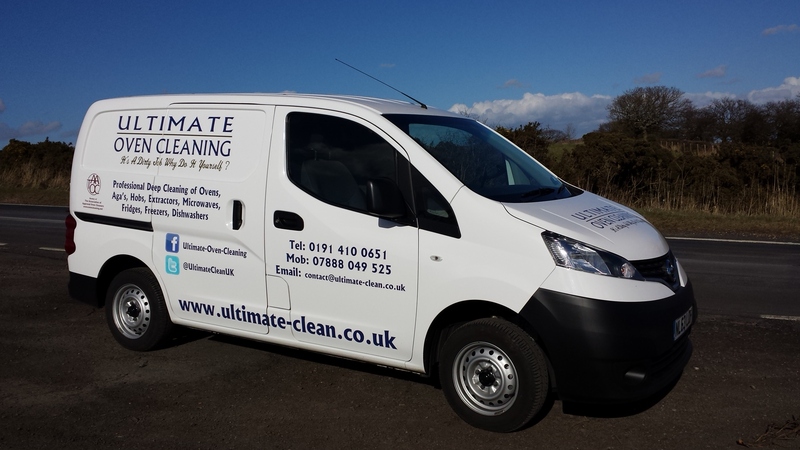 I would have no hesitation in recommending Ultimate Cleaning Services to anyone and am so glad we waited to use Graham's ahead of others. The only downside is my wife now knows how clean our oven can be ! Bad news for me but great news for Graham !!! Wishing you a Very Merry Christmas, see you next year Graham. Graham has done a fantastic job on my shameful oven. Graham works really tidily, leaving you no mess to clean up after him. My oven is like a brand new one and I'm really not exaggerating. I wouldn't hesitate to recommend his services. Thanks Graham and I promise not to leave it as long before booking in the next time. Another outstanding job by ultimate oven cleaning. Used this company twice and would happily reccomend them to anyone. Top class service, oven looks like new and great price. Thanks very much ? Graham came last week to clean what I thought was the most disgusting oven ever! The results were fab, its better than brand new!! So pleased with the service. Just had Graham here to do my oven, hob and extractor fan, I cannot sing his praises highly enough. A pleasant,professional man, and what a job he did, my appliances now look as if they have just been installed from the supplier, fantastic!!!. Thank you Graham, see you next time. Highly recommended. My oven and grill was literally disgusting. Hadn't been touched in over 2 years but looked as good as new in less than 90 minutes. More than happy to personally recommend. thanks again, Deb. Graham came today on time to clean my oven....couldn't believe the result.....like a new oven!!! So efficient and swift. All mess cleaned up. Wonderful....Please book him...he is a star !!! Thank you so very much Graham for the totally professional cleaning service you provided for me. My new oven had been left by my tenant in filthy condition and you have restored it back to its former glory. Thank you so very much. Graham cleaned my oven and hob and it looks brand new I am so pleased with it definitely would recommend. Graham, many thanks for a fantastic job this morning. I'm new to the area and as well as now having a sparkling oven I got some great tourist information! A great job with a friendly service - I'd be happy to recommend anybody to invite you into their home. I look forward to doing business with you again. Brilliant, did not believe my old oven could look brand new again. Excellent professional service transforming a neglected oven back to its best . Thank you. Graham came this morning and has done a fantastic job on the oven and hob. It looks like it's brand new! Graham was proffesional and I would recommend his services to anybody. Would not hesitate to use him again. Graham was very friendly and did a superb job. This was my first time getting an oven professionally cleaned. And I am really glad I did. His knowledge at how best to deal with different types of ovens was very impressive. Particularly his speed at taking the oven door off the hinges and splitting it in order to get into the nooks and crannies which are otherwise impossible to reach. His heated chemical tank is an excellent idea since it leaves your oven racks looking like brand new. These are the sorts of innovations you get with a professional that your average person at home (using supermarket supplies) cannot compete with. I look forward to using his services again - and I will be recommending Graham to friends and family. I thought parts of the oven were beyond help and it now looks like a brand new oven. Unbelievable service and to a standard I could never have hoped to achieve with standard domestic cleaning products. Superb job Graham. We were really pleased with the results. The oven looks like it just came out of the showroom !! Many thanks for your excellent (and speedy) response and service. We know who to come to in future. Highly recommended. We found Graham on-line and it's the best thing we've done! Both oven and extractor were in dire need and are now as new. Possibly even better than new. I cannot praise him enough. This was a wonderful birthday present for my wife and now she doesn't even have to wait till June for it! Thank you again, Graham and see you next year, I hope. Wow! We are truly delighted with our brand new looking Aga. Thank you Graham. I found Graham's advert in a local publication and decided to give his company a try. It was the best thing I could have done. His work was exceptional- neat, tidy, precise and, above all, the end result was amazing, it looks like a new oven. Graham was also very helpful in giving tips on how to use the oven to its maximum potential. He is also a really nice guy. Graham was recommended to me by friends and I knew he was good, but nothing prepared me for the end result. My double oven is sparkling and looks brand new - straight out of the showroom clean! I am so impressed! Graham was really nice, very professional and very particular- no fuss, no mess. I will most definitely use him again and will be recommending him to my family and friends. Thank you, Graham! Graham has cleaned oven, hob and extractor fan at both mine and my daughter's houses this week. She has recently moved house and was considering buying a new cooker. She doesn't need to now thanks to the wonderful job carried out by Graham. Nothing is too much bother for him - he's a really nice bloke and completely pfofessional in his work. Have already recommended him to friends and wouldn't hesitate to do so again. Thank you Graham once again for a fantastic service. The oven was left shining and looking brand new. I have no hesitation in recommending to family and friends! Wow thanks Graham what an amazing job my cooker is sparkling. Professional pleasant prompt and a perfect job what more could you ask. I would not hesitate to recommend Graham to any one. I'd never had my oven professionally cleaned, but after talking to a friend who has their oven cleaned regularly, I decided that maybe it was time I got someone in to do mine. I found Graham's website, the testimonials were encouraging, so I decided to go for it! Graham came to clean my 8 year old cooker, and he left me with what looks like a brand new one- it is absolutely immaculate, and as some of the other testimonials stated, it is much more efficient. The service he provides is excellent, and I'll be using this service on a regular basis in future. The cost is well worth the job that Graham does, and I have no hesitation in highly recommending this company. Just as the name says, Ultimate. Wouldnt think my oven is ten years old, it looks so good. worth every penny. Can't stop telling everyone. Very pleasant service, wouldn't hesitate to use it again. Graham had a mammoth task facing him today when he arrived to clean a cooker that had not been properly cleaned for probably over 20 years. The before and after pics are something to behold! Graham got stuck in and it was sparkling at the end, I can't get over the difference. Graham was very pleasant and cheery throughout. 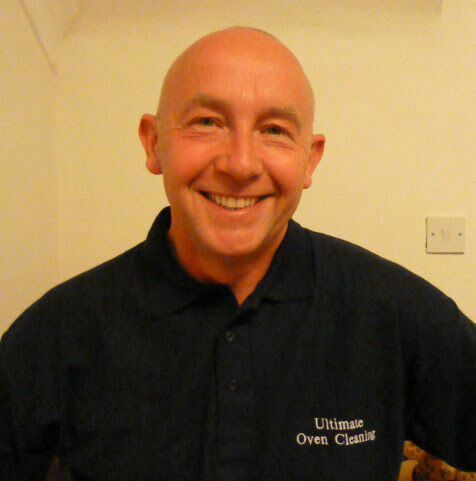 A great service provided, we will be using Ultimate Oven Cleaning again and I will heartily recommend Graham to my friends & family. I wish we had used Graham's service years ago! Excellent job. Value for money with very high standards of oven cleaning - my kitchen was left immacualte afterwards, no mess. Took my oven apart to make sure every nook & cranny was degreased. Very impressed and would definitely use again. Grateful thanks Graham for a superb job of turning my cooker into a new looking one. My wife and I are more than delighted with the result. A skilled craftsman with an extremely pleasant personality. Highly recommended. Seriously, this guy is good! Graham came today, on time and made a fantastic job of both my oven and combi-oven. Very rare to find someone as good as he is. Ovens are absolutely spotless! 10 out of 10! Thank you Graham - I am over the moon with the service you provided! Our oven looks brand new! I actually can't quite believe how good it looks, I will never be wasting my time and money trying to clean it again myself. Graham was friendly, professional and efficient - a lovely guy providing an outstanding service. I'll certainly be recommending you to my family and friends and we'll see you next year! I had graham come and do my oven and the results were amazing. It was like a new oven. Graham is friendly and professional. I am beyond impressed! Our oven was a disgrace and now it looks brand new - I am genuinely amazed! I'm sure tea cooked quicker and I didn't have to open to door to see it was ready! Can't recommend your service highly enough - very happy and great value for money! Great service, great results & a really nice bloke. I have recommended him to several people, and all have been as happy as myself. I have used Graham now for over a year and the reason why is, it's a 5 star service from a great guy who does the best job every single time. It is better than magic. I have referred Graham to friends and family who have also used his services. I will use no one else now or in the future and I will continue to refer and highly recommend Graham to anyone. Spot on, great value for money. Graham has just left my place having done everything his site said he would. No fuss, a professional approach and high standard of workmanship, such a refreshing change. Thank you Graham, we'll be doing business again. Thank you Graham for an absolutely fantastic job you have just done on our oven - I never knew it could ever be so clean again: it's like new! A great service and a fantastic result - I'm very hapy to recommend, and will certainly use again.